Joko Widodo President finally has an official account on the social network Instagram. In a short time, account Jokowi president had already attended more than 190 thousand users Instagram. 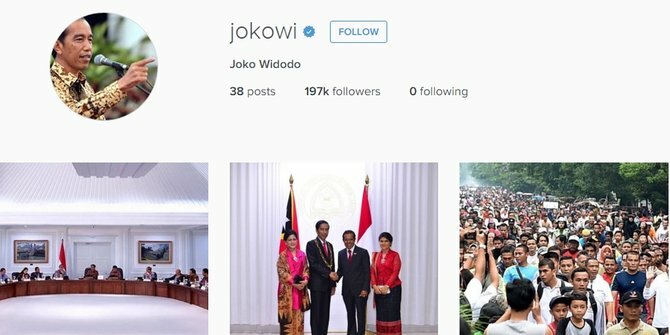 In this official account, Jokowi already uploaded 38 photos relating to his duties during his tenure as the number 1 in Indonesia. Previously, Jokowi also been active in other social networks such as Facebook and Twitter. In a statement Jokowi uploaded through his Facebook account, he explained that Instagram account on behalf of himself before this is a fake account. "I now have the official Instagram account. The address is: http://instagram.com/jokowi. The other is not my account ya know. Thank you," said Jokowi through his official Facebook account. 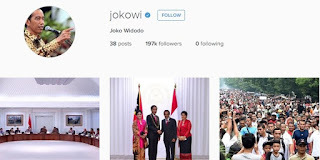 0 Response to "Jokowi (Indonesia President) now has official Instagram Account"